Huge news for all fans of Adam Savage and Michael Stevens! 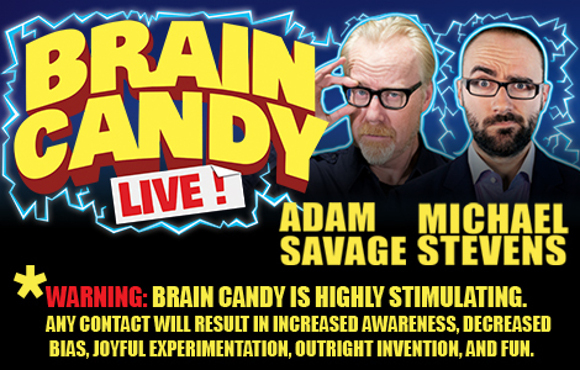 These two scientific geniuses are joining forces to put on the show Brain Candy! The Brain Candy Live Tour is coming the Queen Elizabeth Theatre on Tuesday 17th April 2018! If you like science then you’ll love this – tickets are bound to sell fast so get yours while you can! Get ready to experience it all for yourself – get your Brain Candy tickets today!